1. The City of San Jose’s lawsuit against Major League Baseball, concerning the A’s attempt to move to the South Bay, faces an uphill battle in the courts, according to legal experts, the Chron$ reports. San Jose is seeking to overturn baseball’s antitrust exemption, which allows the league to block clubs from moving into the territory of another franchise, and the US Supreme Court has repeatedly upheld the league’s exemption over the past century. 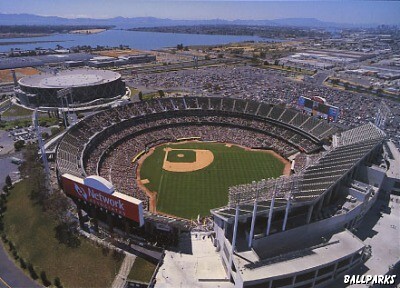 In this case, the San Francisco Giants own the territorial rights to San Jose and don’t want the A’s to move there. 2. The sewage backup at the Oakland Coliseum on Sunday following the A’s game was caused by someone jamming an item into a toilet — and had nothing to do with the aging facility’s pipes, stadium officials said, according to the Chron$. Coliseum authorities also disputed the A’s claims that the sewage backup was a common problem, saying that the facility has had plumbing issues over the years but never a sewage backup. Supporters of the A’s proposed move to San Jose have jumped on Sunday’s sewage problem as proof that the team should be allowed to leave Oakland. 3. Oakland teachers ratified a new contract that provides for a 1.5 percent raise and a 2.35 percent bonus, the Chron$ reports. The raise is expected to grow to 2 percent thanks to a budget deal between Governor Jerry Brown and state legislators that will send more money to Oakland schools. 4. Student loan debt has nearly doubled nationwide in the past six years, jumping from $550 billion in 2007 to $1 trillion this year, the LA Times$ reports citing a new study. The massive amount of student debt could become a drag on the economy. 5. The controversial practice of injecting acid into the ground to extract oil and natural gas may be more common than fracking in California and could be just as dangerous to the environment, Reuters reports (via Rough & Tumble). 6. A pit bull mauled a six-year-old boy to death in Union City, SFGate reports. 7. And Michael Hastings, the award-winning journalist who brought down a top US general, died in a car accident yesterday in Los Angeles.